Los Angeles 1968. As the morning sun beats down on a busy street, a woman steps off the curb to cross to the other side. But just as she reaches the middle of the road her body begins to shake uncontrollably. A nearby police officer shouts “how can you be so drunk this early in the day? Shame on you!”. But she wasn’t drunk and she shouldn’t have felt ashamed, because what she was experiencing were the early stage symptoms of Huntington’s disease, a progressive brain disorder which affects people emotionally, mentally and physically. Sufferers will usually show symptoms in their 30’s and 40’s, and unfortunately will die as a result of these symptoms. But perhaps what is even worse is the fact that their children have a 50% chance of inheritance. But a moment can make a difference and in that moment the police officer would set in motion a sequence of events that would ultimately lead us back to Ireland 50 years on. However, this story did not begin in Los Angeles. To tell the story from the start, we need to go back almost 100 years. In 1872, a 22 year old American doctor George Huntington wrote a paper called On Chorea. The word chorea is taken from the Greek word meaning ‘dance’. It is used to describe an involuntary movement disorder, where sufferer’s arms and legs move in an unpredictable fashion comparable to dancing. On the 15th February 1872, Dr. Huntington presented his work before Meigs and Mason Academy of Medicine at Middleport, Ohio, USA. It would go on to be published in the ‘Medical and Surgical Reporter’ in that same year. What was so important about this paper written by the young doctor was that he specifically stated the inherited nature of the disease. Huntington wrote “when either or both the parents have shown manifestations of the disease, one or more of the offspring’s invariably suffers from the condition….”. Due to his clear description and contribution to the field, the disease would become known as Huntington’s disease (HD). If only this knowledge had been around in the preceding centuries, many people could have been spared death by execution. Reports exist of a disease with similar symptoms being described in colonial New England in the 1600’s. Unfortunately, those who were seen to have the involuntary body movements and the psychological issues which we now know accompany Huntington’s disease, were assumed to be witches and burnt to death publicly. Despite Huntington’s early work, very little progress was made in the understanding of the disease, which brings us back to Los Angeles. That moment on the street in Los Angeles in 1968 would start an adventure, beginning with the establishment of a foundation by the woman’s husband. But it was their daughter, Nancy Wexler, the key character in this story who would spend the next 25 years hunting down the cause of this disease. The Hereditary Disease Foundation which had been established by Wexler’s father brought her into contact with geneticists and biologists, and although she herself was a psychoanalyst, this environment would drive her interest in the neuroscience behind Huntington’s disease. In 1972 the HD Centenary Celebration was held in New York. A student of Americo Negrette, a Venezuelan doctor who had dedicated his life to Huntington’s disease, presented a video recording of Huntington’s disease patients from the fishing villages which surround Lake Maracaibo on the Caribbean coast of Venezuela. The area was found to have the largest population of Huntington’s disease sufferers in the world. The young researchers work indicated that all these Venezuelans were descended from one woman, Maria Concepcion Soto, who had lived in the area in the early 18th century. It is believed that she inherited the disease from her father, likely a European sailor, however some believe the disease may have been introduced to the gene pool specifically by a Spanish Sailor who had travelled from the port of Hamburg to buy dye for a German factory. Whoever the culprit, the consequences would be disastrous. It was this abnormally high population of sufferers which attracted Wexler and her team to Lake Maracaibo. Following a visit to the region, the Venezuelan Collaborative Huntington’s Disease Society was established with Ernesto Bonilla and Nancy Wexler as the principal investigators. Along with a host of scientists and historians the group would collect 4,000 blood samples and document 18,000 individuals over the next 20 years. This mammoth effort would first result in the identification of chromosome 4 as the location for the huntington gene in 1983. Then, almost a decade later scientists identified the DNA sequence and mutation causing the disease. The truly collaborative nature of this work was reflected in the fact all 58 members of the Huntington’s Collaborative Research Group were named as co-authors on the 1993 paper published in the journal “cell”. Many believed that the new understanding of the genetic nature of Huntington’s disease would mean that treatments and even a cure may be within touching distance. But, as is often the case the new knowledge exposed scientists to the complexity of the problem. They discovered that we all have the huntington gene, but when it carries too much information the gene cannot work properly and leads to Huntington’s disease. There would be no easy cure. Even though early hopes had faded, Wexler and her team continued to push their research forward. Recently a number of new technologies has given renewed hope. 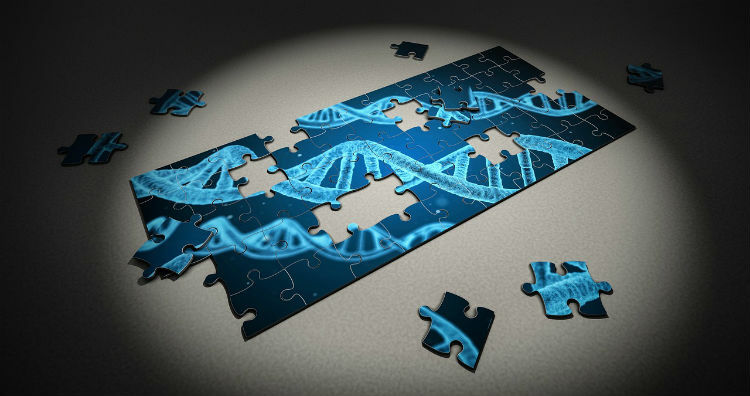 Three technologies in particular; antisense oligonucleotide (ASO), RNA interference and CRISPR have caused excitement in the field of Huntington’s disease research, as they offer the possibility to specifically target the diseased gene. The pharmaceutical company Roche is currently preparing for Phase 3 clinical trials of the gene-silencing drug IONIS-HTTRx. Scientists are aware that they are still a long way from a cure or an effective treatment. However, the mood is beginning to change and as technologies advance, many in the field believe we are entering a new period where breakthroughs may become possible like never before. Why Should We In Ireland Care? We should care because here in Ireland we are between 2-3 more likely to inherit this disease than anywhere else in the developed world. Although exact figures can be difficult to calculate, it is believed that approximately 700 people in Ireland suffer from Huntington’s disease, with another 3000 at risk. This is a disease with no cure and no effective treatment. In addition to the severity of the symptoms which sufferers will experience, they carry the concern of if and how the disease will impact their children. Due to a phenomenon known as genetic anticipation, when a parent passes on a genetic disorder, the next generation will show more severe symptoms and at an earlier age. 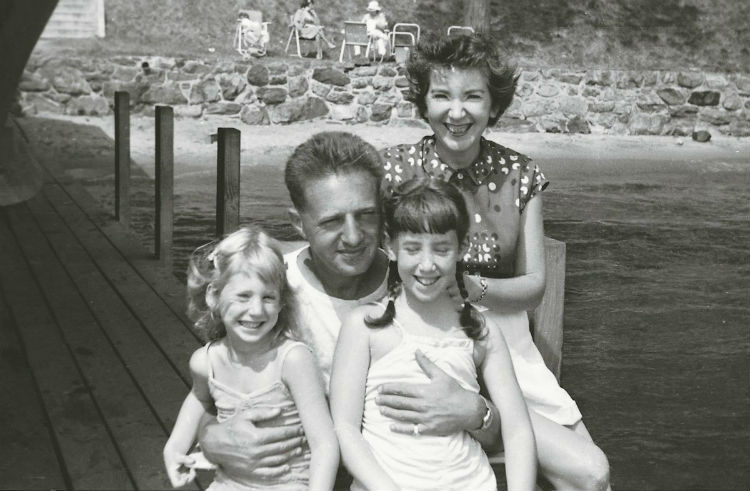 This year marks 50 years since Nancy Wexler’s mother showed on that street in Los Angeles how devastating Huntington’s disease can be to a person’s life. Despite the discoveries into the nature of the disease over the years, it is only now that scientists are really beginning to home in on therapeutic targets. I am fortunate enough to be part of a team in National University of Ireland Galway carrying out work investigating one aspect of this disease. But the journey to reach this point has been a truly collaborative effort, involving thousands of patients, doctors, scientists and many others. Stephen Hawking once said, “As scientists we step on the shoulders of science, building on the work which has come before us”. We now find ourselves in a moment that Nancy Wexler could only dream of 50 years ago. Where new technologies are offering hope, where hope had faded and where treatment of Huntington’s disease may now become a reality.